The #100HappyDays challenge - can you be happy for 100 days in a row? - is a viral online movement that has had more than 1.5 million participants since its launch in 2013. 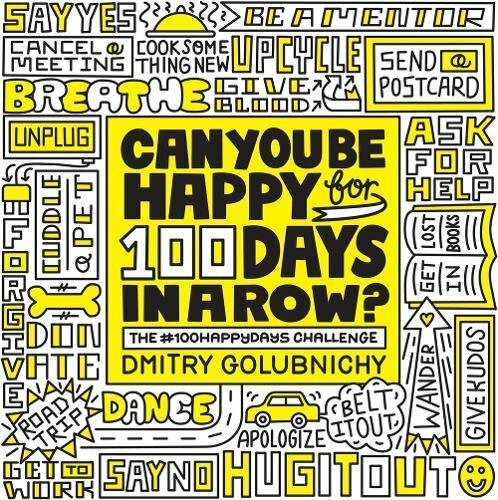 This daily illustrated guide will help readers find happiness in their everyday lives and complete the challenge themselves The 100 directives, big and small, will inspire the reader to take action ('Compliment a stranger,' 'Hike to a scenic spot,' 'Be the first to apologise'), with text explaining both why the action contributes to happiness and how best to implement it.